Today’s poem is part of my regular Saturday series of poetry titled after Twenty One Pilots songs. Check out the archives of the series HERE and as always, check out the Twenty One Pilots version of “Fake You Out” below. Have a great weekend! 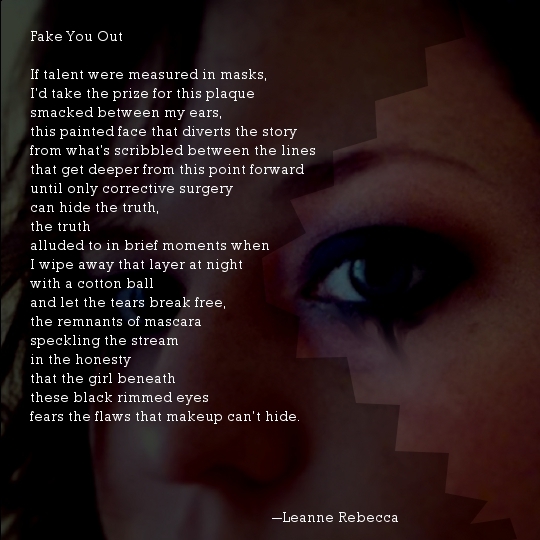 Really like the power that you have conveyed in this poem – an emotional comment on how we (for whatever reason) hide our true nature. Like the music too. You might like to check out ‘Wild Beasts’ and ‘Future Islands’, their music might be up your street.